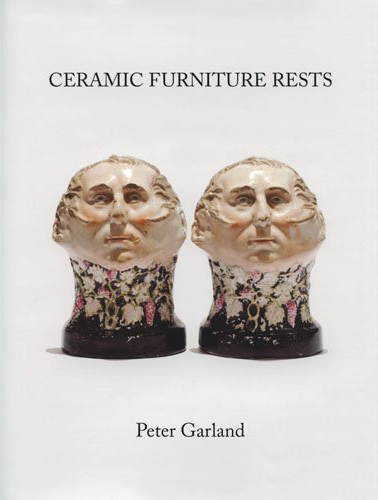 The furniture rests described in this book are ceramic objects made between the late eighteenth and early twentieth centuries. 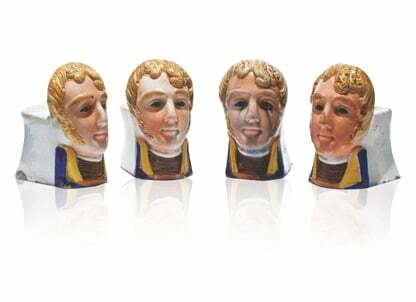 They are known to have been made in Staffordshire, Yorkshire, Wales, Scotland, other parts of England and probably on the continent. They are known now by a number of different names, including furniture rests, furniture supports, window rests and castors. Although they must have been made in large numbers, evidence of their use is sparse. Such older records as exist confirm their use under furniture, but one also sees them described in more recent literature as being used to prop open sash windows. The question of their use, including the examination of the available evidence, is addressed in the book. 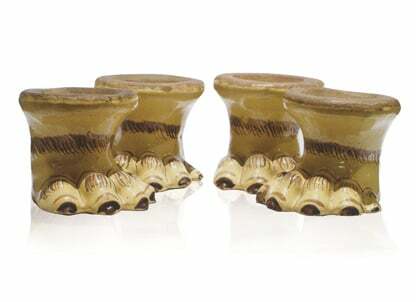 Furniture rests were made in various forms which, for convenience, the author describes as ‘platform rests’, ‘block rests’ and ‘castors’. Platform rests have an image at the front and a platform at the back. Many of the images are of real or mythical people, some of which can be identified and some not. Animals and baskets of fruit or flowers are also depicted. 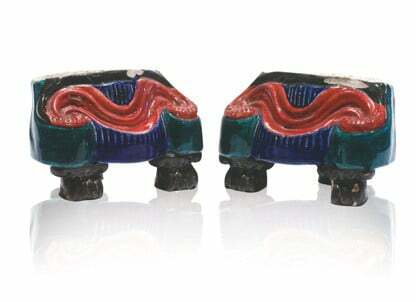 They are often polychrome and highly decorated. Block rests are shaped generally like a cube with decoration on one or more sides. 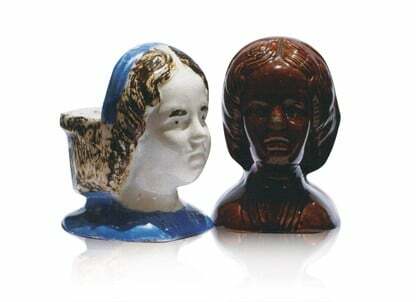 They are usually polychrome but blue and white and monochrome forms were also made. Castor rests are the forerunners of modern castors and are usually of circular cross-section with an indentation at the centre. 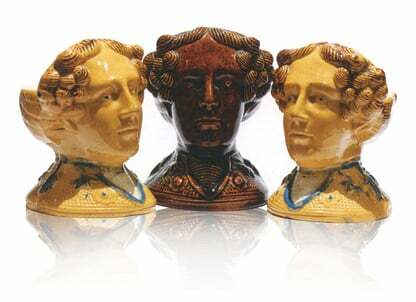 Most of them were made in brown ‘treacle glaze’ but more colourful examples exist.